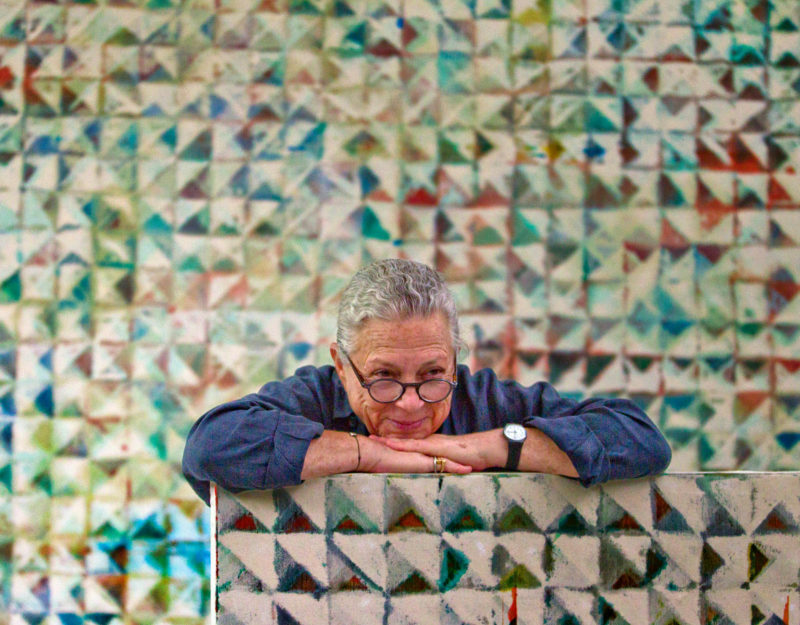 Lynne Golob Gelfman in her studio. Courtesy the artist. ICA Miami Donor Circle Members are invited to an intimate studio visit and private viewing of local Miami artist Lynne Golob Gelfman studio and works in progress. Mimosas and light bites will be served. As part of the museum’s commitment to fostering the exchange of art and ideas, ICA Miami connects members to the city’s rich arts ecosystem through artist studio visits and tours. Open to Donor Circle Members. Click here to join or upgrade. Space is very limited. For more information and to RSVP, contact Cristina Velez at [email protected]. A Miami resident since 1972, Lynne Golob Gelfman (b. 1944, New York) has had more than 40 solo shows. Her first solo show was a prize awarded by Miami’s Metropolitan Museum and Art Center in 1974, then under the leadership of Arnold Lehman. Since then, Gelfman has exhibited nationally and internationally in galleries and museums. Her work is a part of many public and private collections, including Institute of Contemporary Art, Miami and Pérez Art Museum Miami. For the last 15 years, she has developed art projects with inner-city children at the Barnyard, Coconut Grove.